A scorching Victorian-era romance featuring a stoic Scotland Yard investigator and a beautiful painter—the debut novel from 2010 Golden Heart Award winner Jillian Stone. Detective Zeno “Zak” Kennedy is considered a hero in London after breaking up a plot against the Crown. But villainy never sleeps, and he’s now after a ring of Irish anarchists plotting a bombing campaign. When he discovers that one of these treacherous lords is acquainted with his new tenant, widowed Cassie St. Cloud, he sets out to get closer to the lady. Cassie is no Victorian prude; the daughter of two prominent doctors, she is a freethinking artist and a volunteer at a girls’ school. She’s set her sights on her handsome new landlord, and soon they’re enmeshed in the most passionate affair of her life. But when she discovers that their meeting was not purely accidental, will she be able to forgive him? 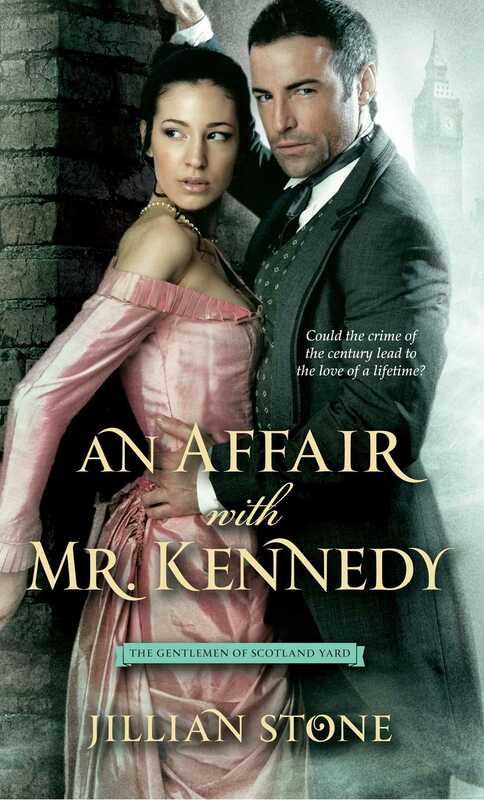 Jillian Stone was the 2010 RWA Golden Heart winner in Historical Romance for her debut novel, An Affair with Mr. Kennedy, the first in her Scotland Yard trilogy. She also writes a steampunk series for Kensington books. Visit her at GJillianStone.com.